Houdini & Doyle TV show on FOX cancelled after first season; no season two. Photo: Mitch Jenkins/FOX. Unable to pull a second season out of its hat, the Houdini and Doyle TV show has been cancelled after its first and only season on FOX. 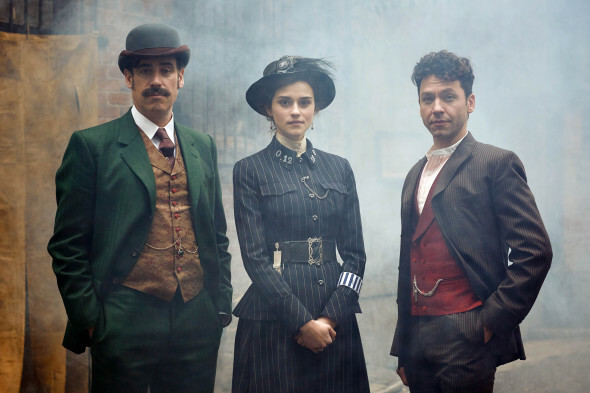 The mystery drama series stars Michael Weston as Harry Houdini, Stephen Mangan as Arthur Conan Doyle, and Rebecca Liddiard as Constable Adelaide Stratton. The cast also includes Tim McInnerny, Adam Nagaitis, and Diana Quick. FOX confirmed the Houdini & Doyle cancellation to Deadline, which cites poor ratings as the reason. In the series, fictionalized versions of real life figures — magician and skeptic Houdini and Sherlock Holmes author and paranormal enthusiast Doyle — investigate unsolved crimes of a seemingly supernatural nature. The show was created by David Hoselton and David N. Titcher. The writing staff also includes: Carl Binder, Melissa R. Byer, Treena Hancock, Josh Brandon, and Nazrin Choudhury. RELATED: Cancel or Renew Houdini & Doyle for Season Two (Poll). The ten episodes which make up Houdini & Doyle, season one, averaged a 0.52 in the 18-49 year old viewer ratings demographic and drew an average total audience size of 2.137 million viewers. The Houdini & Doyle unintentional TV series finale episode, “The Pall of LaPier,” was written by Hoselton and aired on FOX (and on Global, in Canada) on July 4, 2016. In UK, the series premiered earlier, and ITV aired the finale on May 12th. Houdini & Doyle TV show cancelled by FOX; no second season. © 2016 FOX Broadcasting Co. photo: Joseph Scanlon/FOX. RELATED: Meet the Characters of Houdini & Doyle. What do you think? 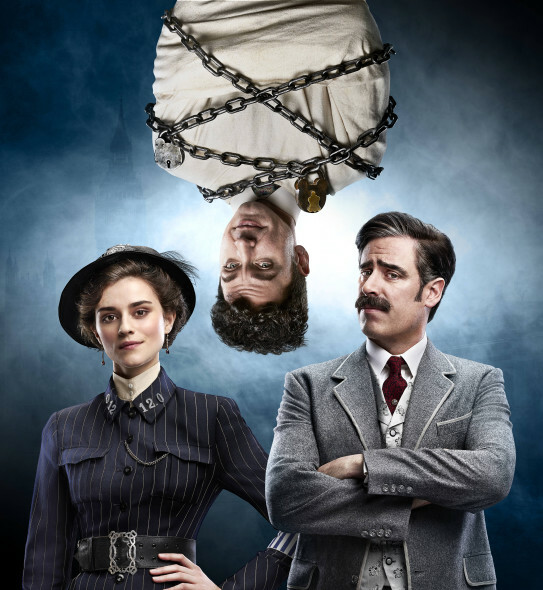 Are you a fan of the Houdini & Doyle TV series? Do you think it should have been cancelled or renewed for a second season on FOX? I found this show to interesting , & well written. I loved the characters& the actors who played them. Please bring it back! Please renew Houdini & Doyle. One of my favorite TV series. Very disappointed there is no Season 2 in production! Great mystery series with great actors. The very least Fox could do is tie up the ending with Season 2 as most networks now do!!! We absolutely loved this show, please do not cancel this series. It was new, unique and so very entertaining. I can’t believe they canceled this show, it was awesome!! I hope it gets renewed in the UK or Canada so there will at least be one more season..they could do a lot with this show. the most wonderful show. loved it!!! please bring it back!!!! I simply loved the show. It was very entertaining with it’s twists of characters and endings. Love the interplay amount the cast. Hope it returns. Guys I’ll just have to watch season one again! NOOOOOOO! This show was so much fun.. Is there a possibility of someone else picking it up?